Securely upload, organize, share and collaborate on files easily with internal and external colleagues, easily synchronizing with other users and devices. Share files with internal and external users, or invite guests outside of your network to collaborate on a file. The familiar browser interface, desktop clients, and mobile applications provide simple ways to get to the most important files and keep them in sync with other users and devices. Upload, store, and share files in a centralized library, where you can control access of files to be private or shared with individuals or groups, as readers or authors. Selected files synchronize across each user's desktop and mobile device so users always have the latest versions of their files no matter which device they are using. Upload, store, and share files in a centralized library, where you can control access of files to be private or shared with individuals or groups, as readers or authors. Easily and securely share documents with colleagues, customers, and partners while helping to comply with corporate IT policies and reducing the risk for loss of corporate intellectual capital. Profiles provide business card information about colleagues across business networks and allow users to invite guests to view or work on content shared with them. 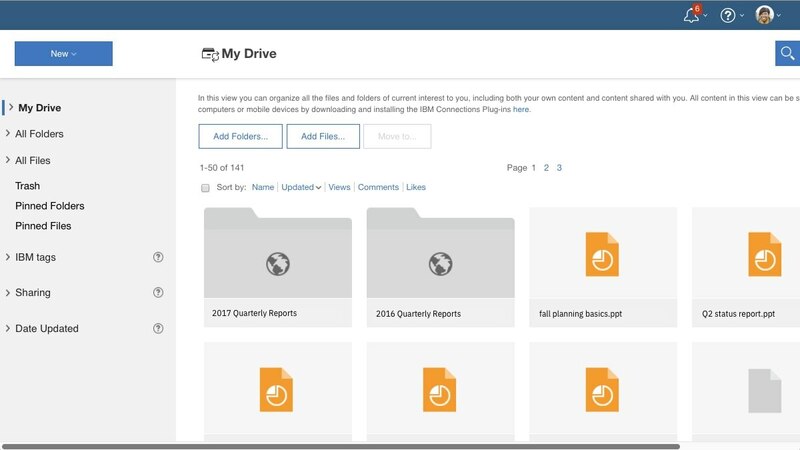 Upload, store, organize and share files in a centralized library, where files may be access controlled with individuals or groups, as readers or authors.